Home / News / Be a Force for Change with a Wookiee Roar! Be a Force for Change with a Wookiee Roar! UPDATE! They’ve hit the $1 Million mark! You can still help by going to www.ForceForChange.com and donating today! 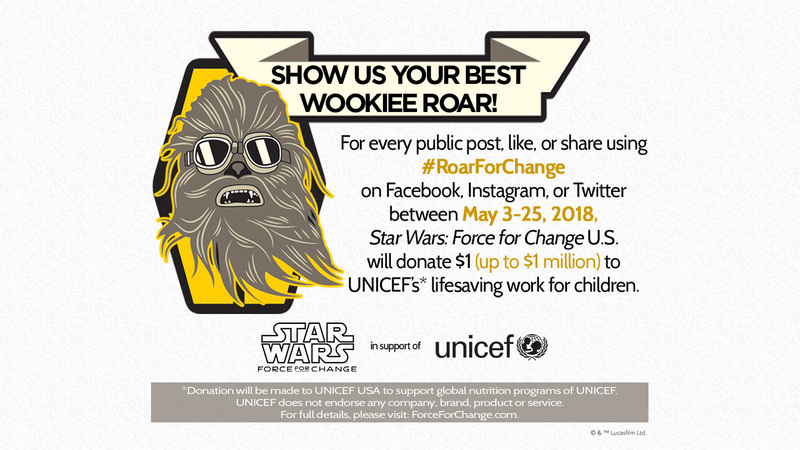 From May 3-25, every like, share, or post using #RoarForChange unlocks $1 to support @UNICEF’s lifesaving work for children, up to $1 million. In the below video, Tom reveals the secret to doing a perfect Wookiee roar! Show us your best Wookiee roar on social media & be a Force For Change!